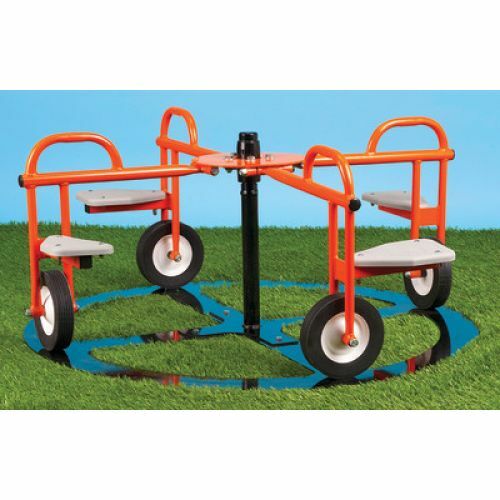 Build muscle strength and coordination for up to 5 children with this fun, peddle-powered merry-go-round. 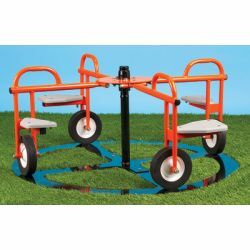 Powder coated steel construction features solid-steel track and extra-heavy base that prevents tipping. Some assembly required, installs with included ground stakes.